Interlaken is one of the favorite destinations of tourist who visit Switzerland. 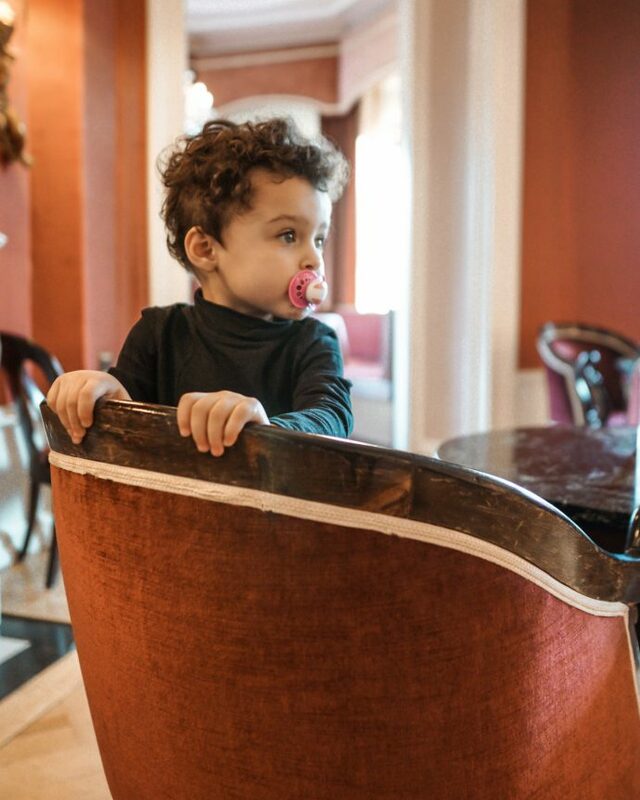 In January, we spent two days in one of its renowned hotels Lindner Grand Hotel Beau Rivage, a grand, neo-renaissance hotel that was constructed in 1874 by French-Swiss architect Horace Édouard Davinet. 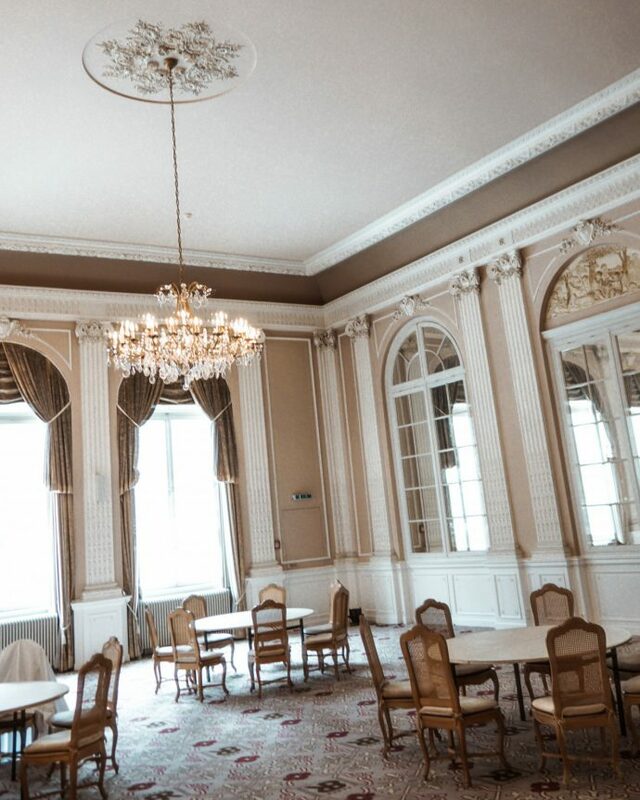 We stayed in Royal suite with our daughter and I appreciated the space, freedom, and privacy we had on the top floor. The views of the Eiger, Mönch & Jungfrau mountains and Aare river were spectacular. 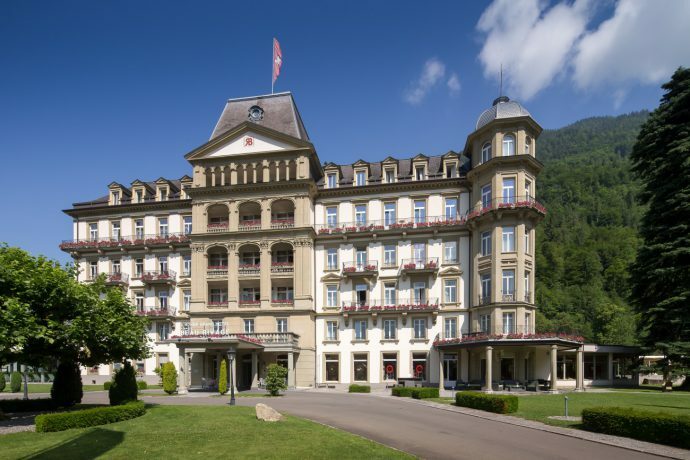 The hotel is located a few minutes walk from the Interlaken city center and the Interlaken Ost train station. It boasts with an indoor pool, sauna, hammam, and a Clarins spa. Especially the pool was a big success – Chloe-Sofia could live in it. 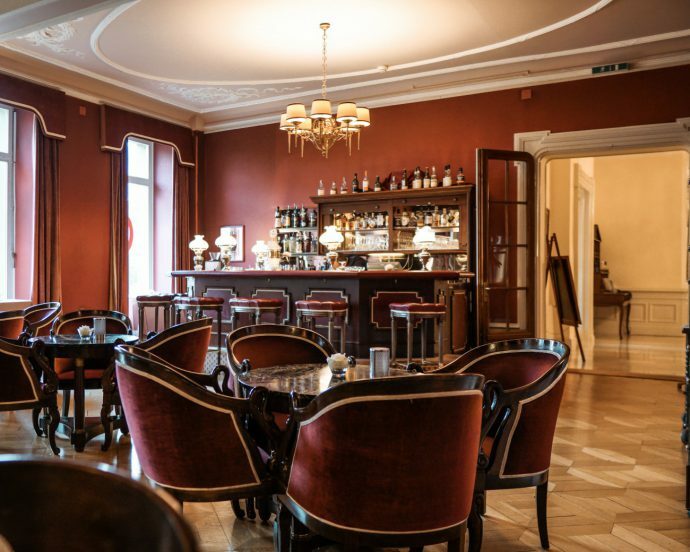 Le Vieux Rivage Bar offers complimentary coffee and tea in the afternoon – which, as a coffee-lover, I totally adored. 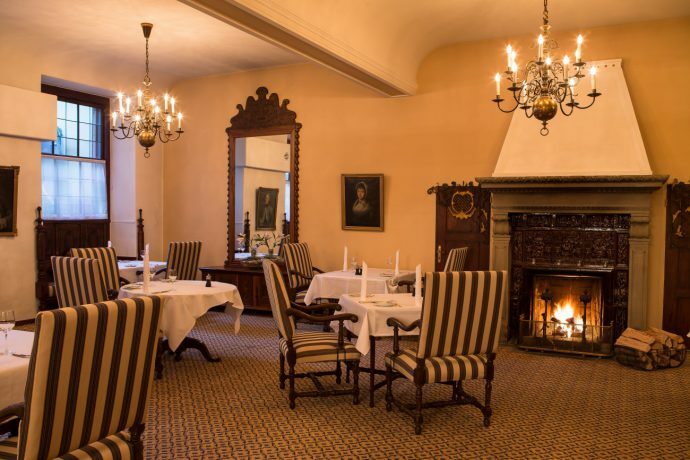 And tastefully decorated La Bonne Fourchette restaurant with a huge fireplace is a perfect choice for a romantic dinner. We loved the food even though it was a challenge to keep Chloe-Sofia calm and seated. On such occasions, I am telling myself that we won’t travel with her until she’s older but as soon as I get a good night sleep I forget all about her shenanigans. Lindner Grand Hotel Beau Rivage is a perfect hotel for a romantic getaway. It’s beautiful, easily accessible by public transport, comfortable and affordable four star hotel. You can expect warm welcome and helpful staff, generous breakfast buffet, enjoy romantic dinner in La Bonne Fourchette restaurant and relax in the spa. I recommend it if you are a family or an older couple that likes traditional palace-style hotels. 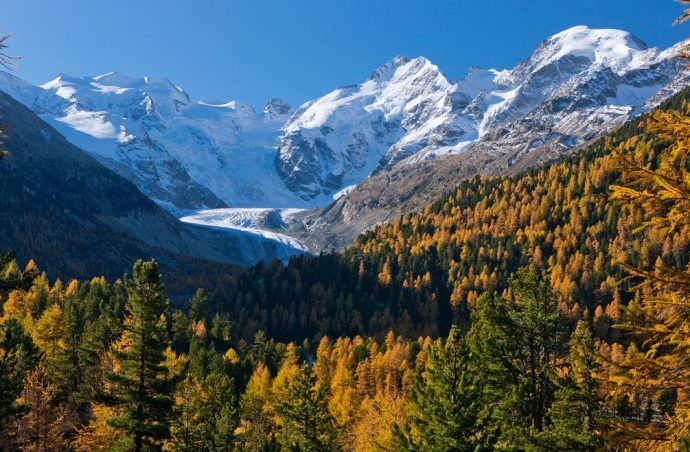 Thanks to its central location, Interlaken is a perfect base for lovers of summer and winter outdoor sports. In winter, one can benefit from 200 km of pistes of the Jungfrau Top Ski Region (Mürren/Schilthorn, Kleine Scheidegg/Männlichen, and First). If you prefer to hike, there are 220 km of winter walking trails in the region. When we were in Interlaken at the beginning of January, I was surprised to see a large number of paragliders in such cold weather. It shows that Interlaken is popular no matter the temperature. In summer you can take a train ride and admire alpine nature and animals, enjoy a boat ride on the lake Thun or Brienz (I recommend trying historic paddle-steamer) or relax and enjoy at one of the many festivals that take place in Interlaken region in spring and summer. From classical music concerts to free open-air concerts , Interlaken has something for everyone. Book me in, it’s beautiful! This is such a gorgeous hotel!! I hope to one day be able to go stay there!! It sounds amazing!! I’d love to visit!